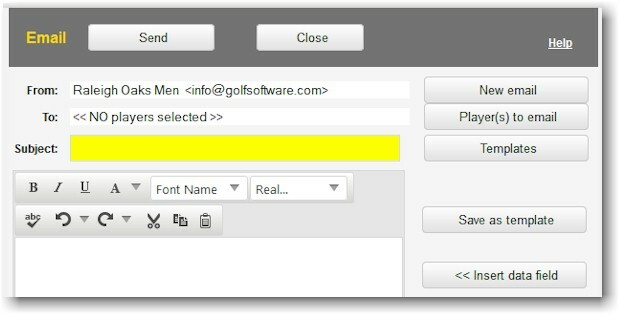 The program enables you to save email templates for repeated use. Example: You may want to create an email to notify all members of a rain out. 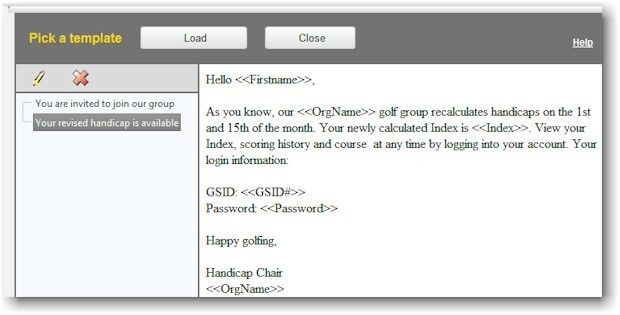 Or an email to update players on their current handicap and other statistics. 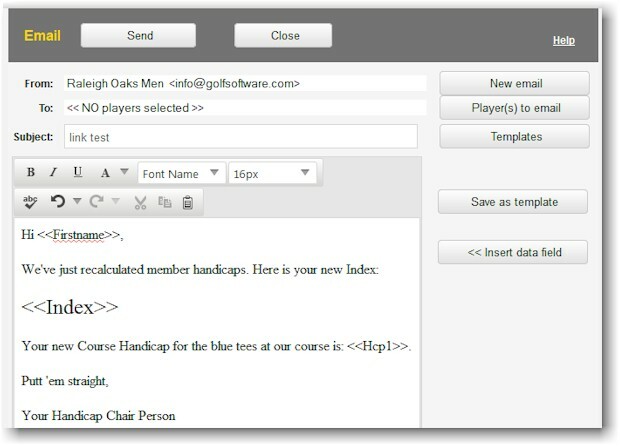 Compose an email with Subject and message body (including merge data fields, if you like). You can see the data fields in the example below are surrounded by brackets ("<<>>"). You do not select recipients until you actually use the template. 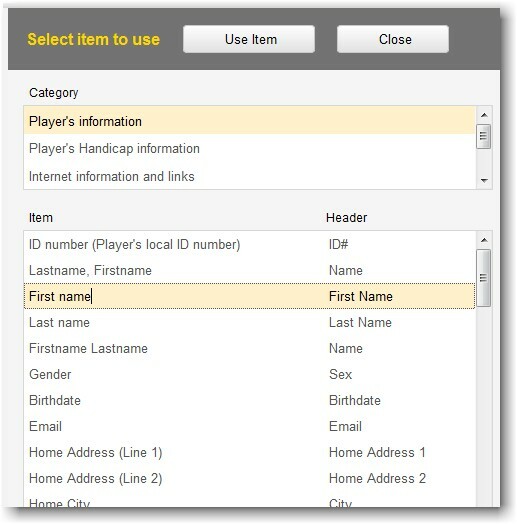 To insert a data field, click on the button labeled "<<Insert data field" and select one of the data fields to insert. When you are finished composing, click on the button labeled "Save as template." Click on "Email" link under "Players" section on the Options Menu (pictured above at top). When you want to use a email template, click on the button labeled "Templates." Select the email template to use and click on "Load" button. 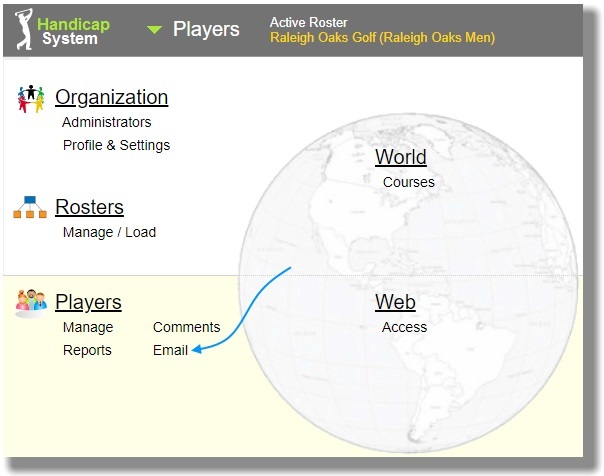 Click on "Player(s) to Email" button and select players to whom your email will be sent.